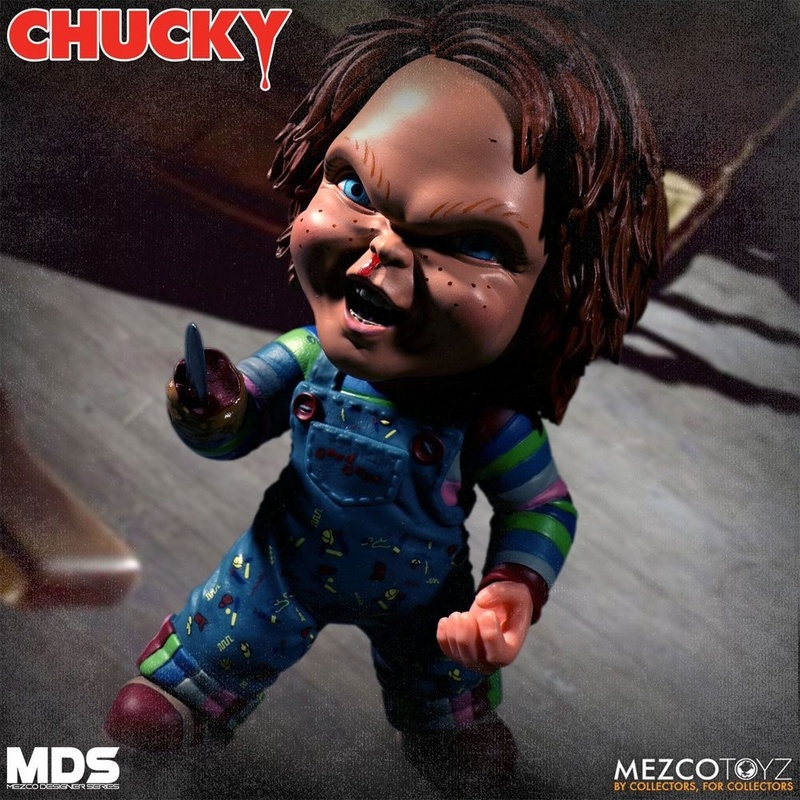 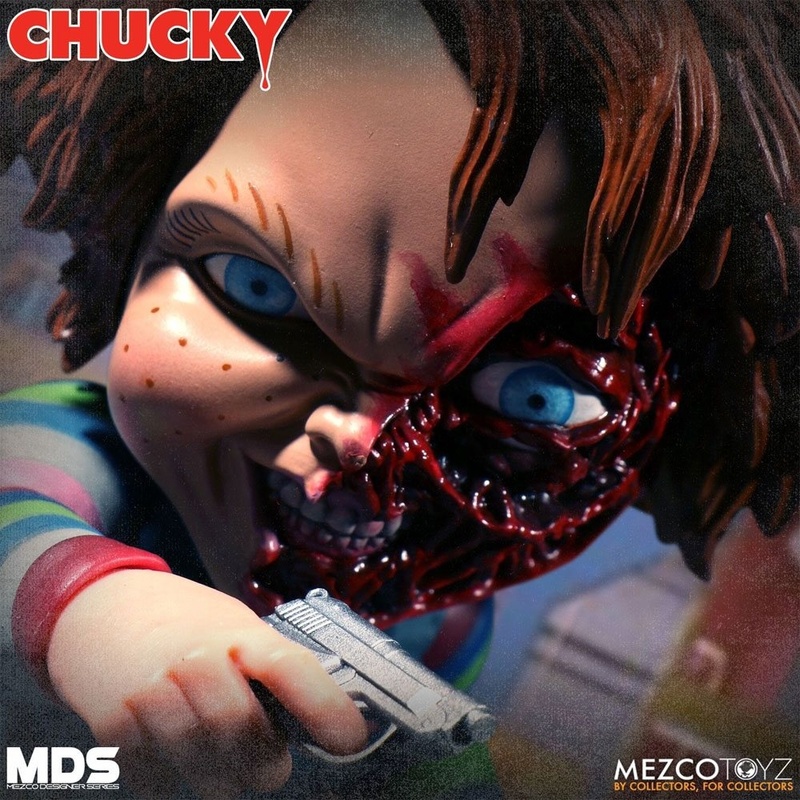 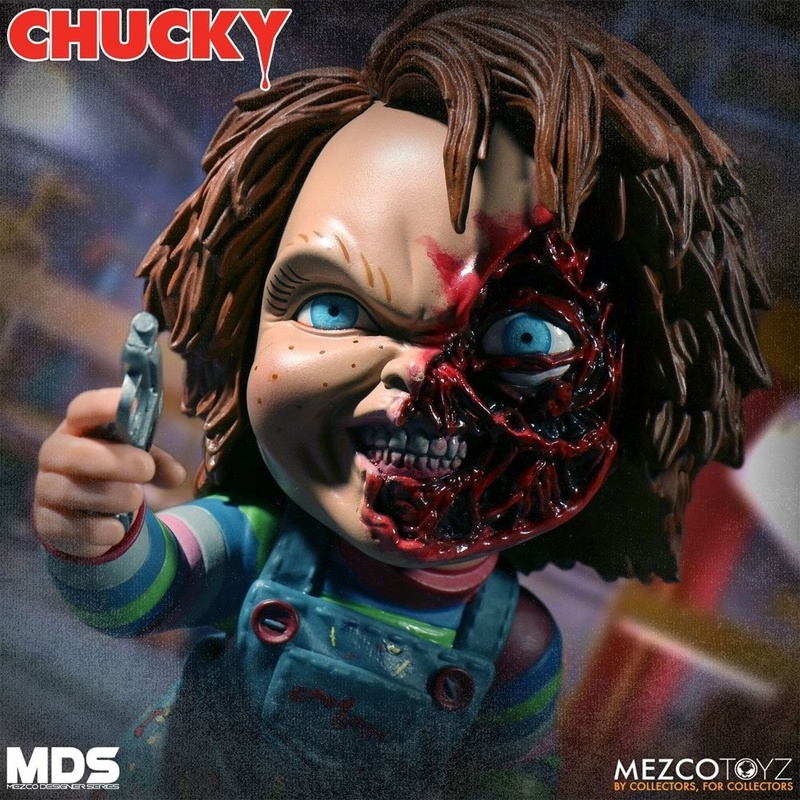 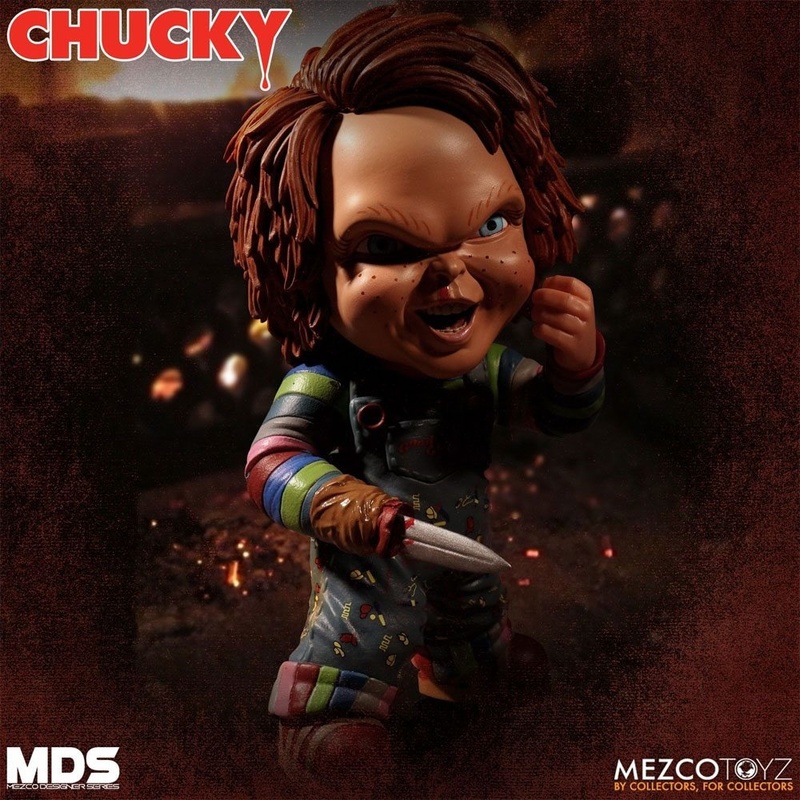 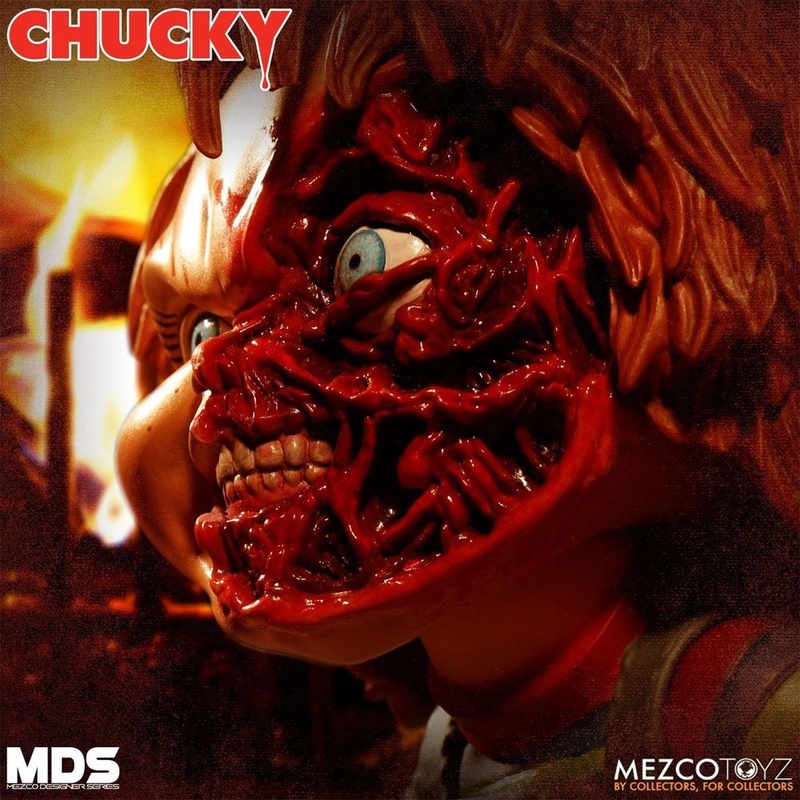 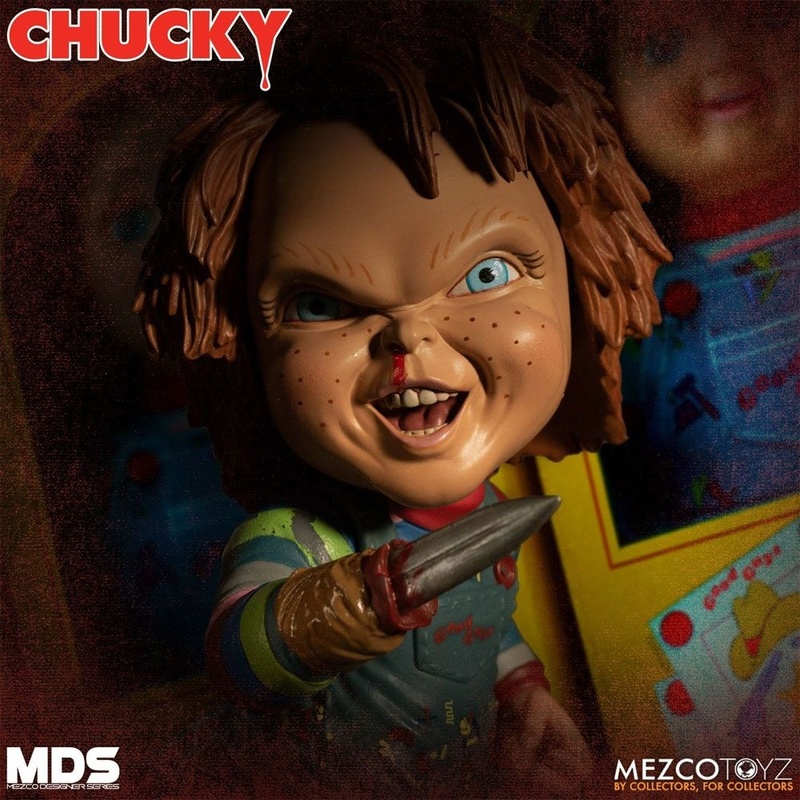 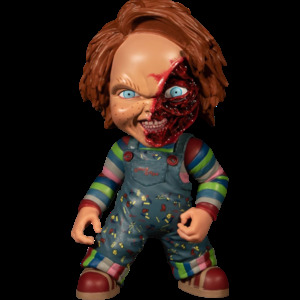 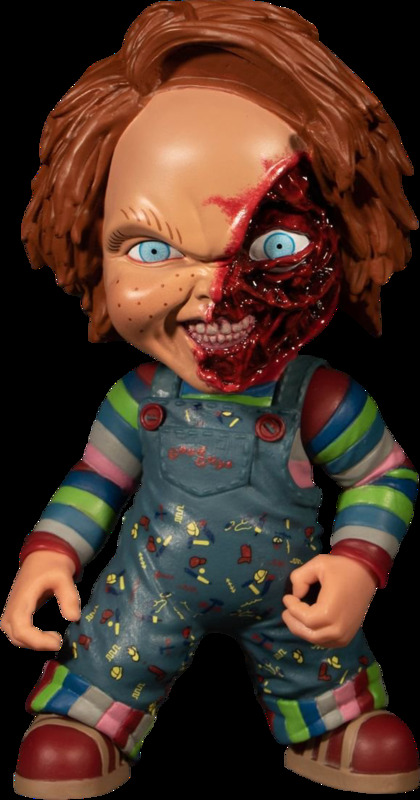 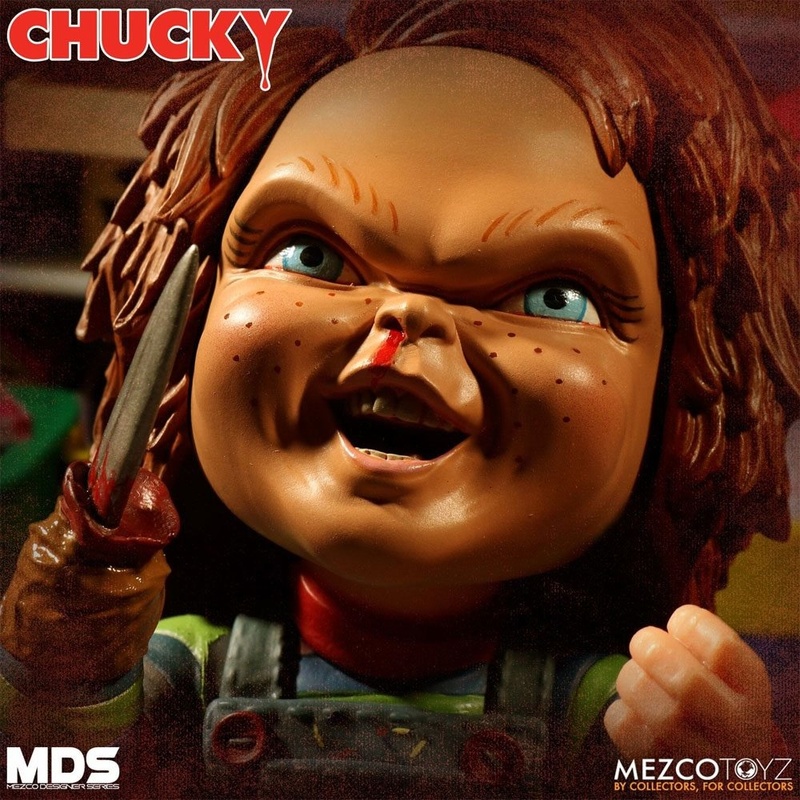 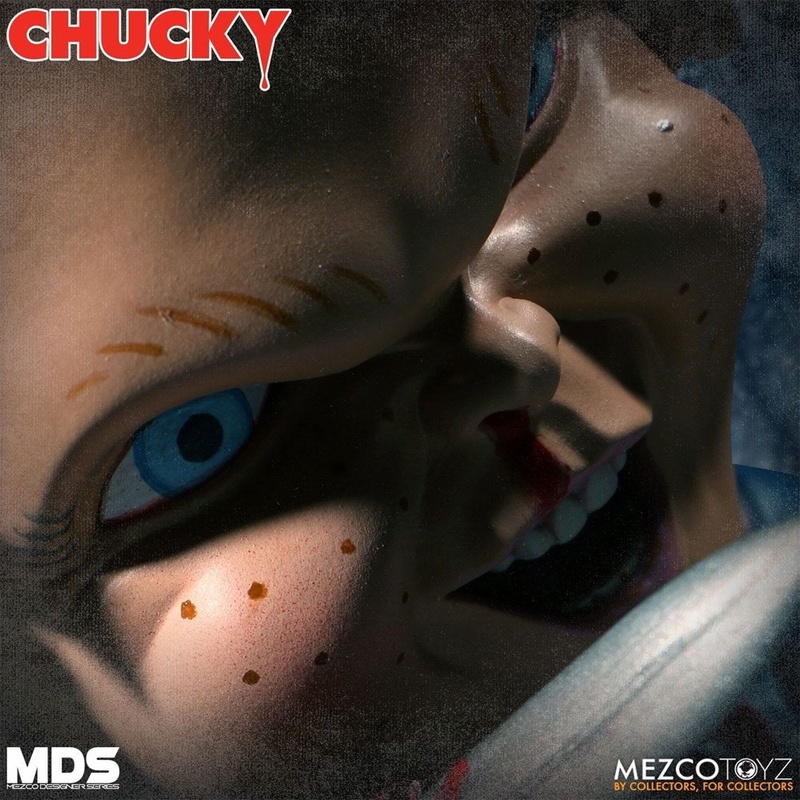 The MDS Deluxe Chucky is a super-D take on the homicidal doll, featuring two all-new head sculpts - a bloody-nosed smirk from Child's Play 2 and a mutilated and disfigured 'pizza face' sculpt from Child's Play 3. 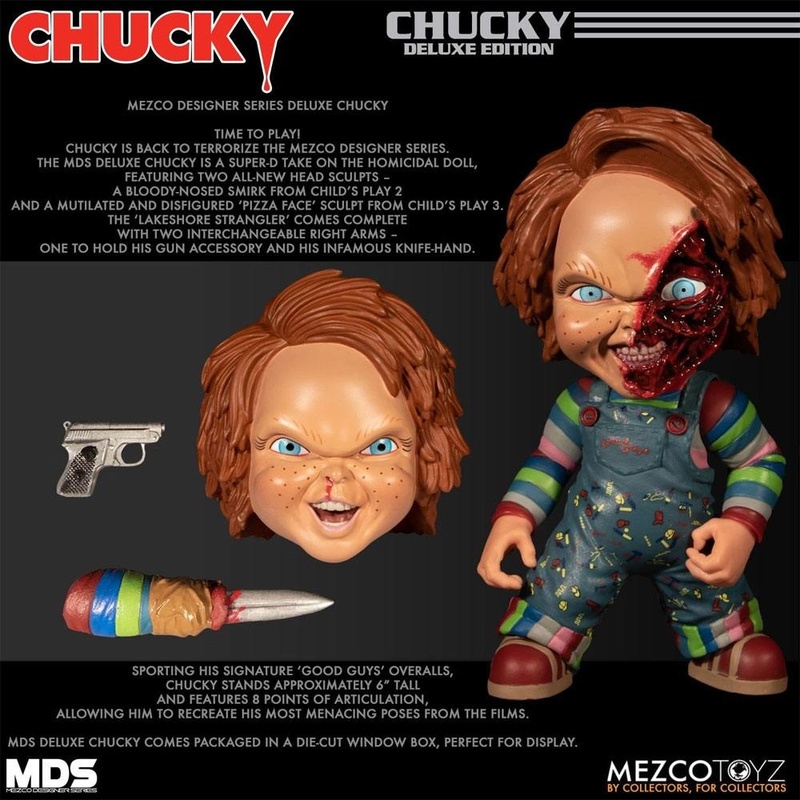 The 'Lakeshore Strangler' comes complete with two interchangeable right arms - one to hold his gun accessory and his infamous knife-hand. 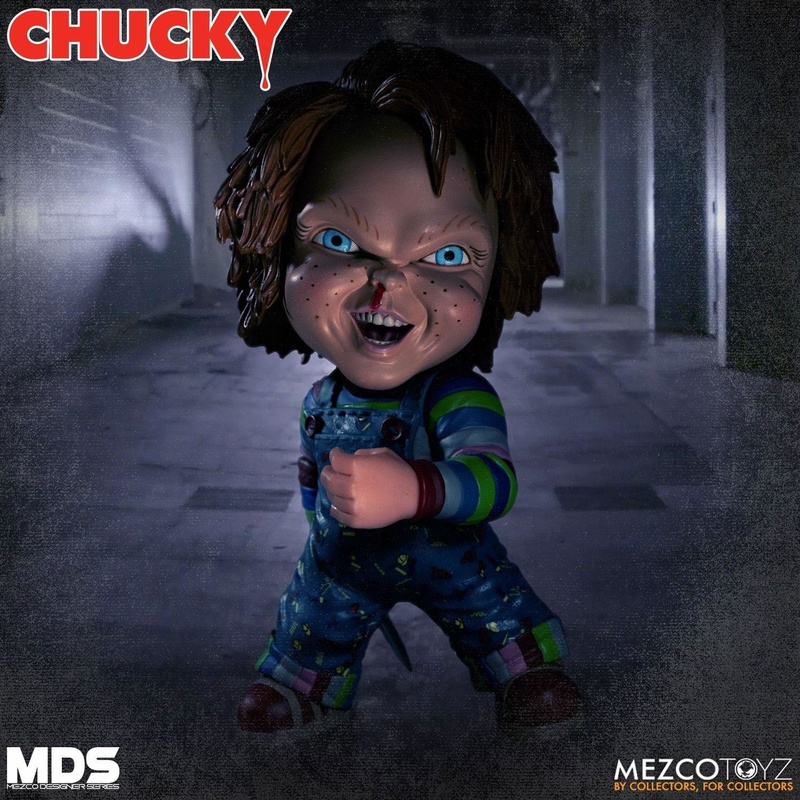 Sporting his signature 'Good Guys' overalls, Chucky stands approximately 6 inches tall and features 8 points of articulation, allowing him to recreate his most menacing poses from the films.